So Here is an tutorial to show how to add PIN to User Account. Can use Numbers As Password While you're Signing in to Your User Account. How to Make it ??? Step 1 : Logon to Your User Account. Step 3 : Click on Account. Step 4 : Click on Sign-in Options. 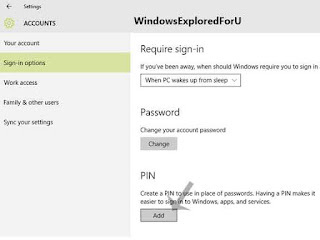 Easier to Sign in Windows,Apps and Services. 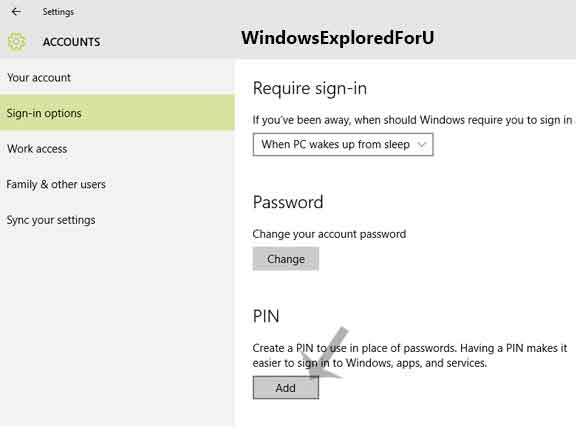 Step 7 : Enter Your Password on the New Window that Opens. 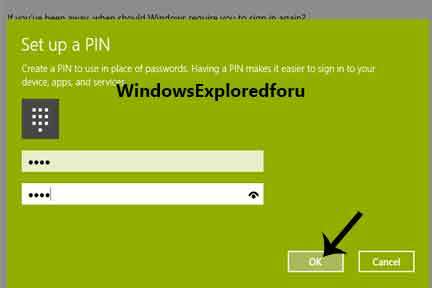 Step 8 : Enter Your New PIN and Confirm Your PIN. Step 9 : Click on OK. Step 10 : Close the Window. That's All you had Added a PIN to Your Account.